Whenever there is a need to address any ongoing repair or maintenance issues, it is the FM’s responsibility to hire a contractor to assess and fix the issues at hand. However, the FM must make sure that these contractors comply with the policies set by their company. In the past, companies often found that the contractors they had hired were on site without valid insurance, and the proper up-to-date certification. FMs are also at risk of hiring unqualified, poor performing or local contractors who don’t adhere to the corporate guideline standards. There are a number of ways to reduce these risks however. 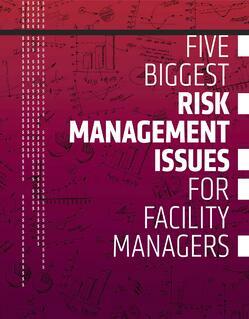 Some FM systems have the ability to monitor a company’s own secure network of contractors. This type of approach enables all relevant data to be collected such as signed contracts and insuring that credentials are in updated and in place. Understanding potential threats and implementing the strategies and actions discussed in this whitepaper will help to manage contractor risk.